Beautifully Remodeled kitchen and more! Home backs to open space & golf course! Move in ready! Meticulous attention to detail. Italian wood-style Porcelain tile floors & custom slab granite countertops, new SS appliances. Better than new build w/mature trees & landscaping! Included built in outdoor kitchen w/BBQ, cook top, sink & fridge. Enjoy the outdoors w/no homes behind you! New TREX deck & sliding door off kitchen. Some golf course & mountain views. 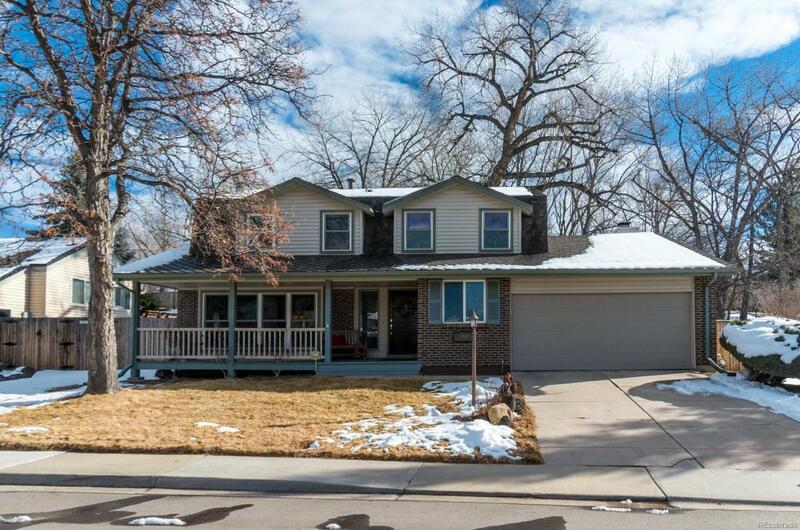 Desirable pool/tennis community w/central location. Easy commute to Denver, Boulder & DIA! Just a few minutes away from shopping & dining. Over $100K in upgrades! You are sure to fall in love with this home!